As some of you know, one of my favorite new restaurants to open in the past year or so is From Scratch (62 E. Gallivan Ave., FromScratchSLC.com. City Weekly, Feb. 27). Well, on May 12 from 7 to 9 p.m., From Scratch will join with Epic Brewing to kick off American Craft Beer Week (May 12-18) with a beer pairing dinner. 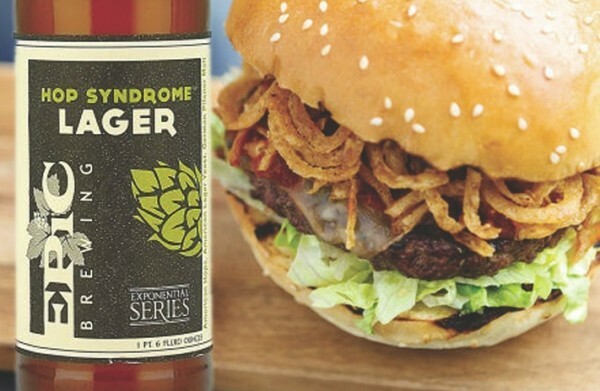 Food and Epic Brewery pairings include Pfeifferhorn Lager with charcuterie, Wit Beer and honey-apple salad, Hop Syndrome with a Scratch Burger, Smoked Porter and Whiteout Pizza, plus a dessert of 825 State Stout-infused chocolate mousse with Imperial Stout. The cost is $25 for dinner and $20 for the optional beer pairings. For reservations, call From Scratch at 801-538-5090. To help make Mother’s Day special, Boulevard Bistro (1414 S. Foothill Drive, 801-953-1270, BoulevardBistroFoothill.com) is offering a free regular gelato for mom when you celebrate Mother’s Day at the Bistro. Treat your sweet mom with a sweet treat.